Need help writing your book? My work consistently makes the Top 100 business books in Australia every year. When you are CLEAR about what you are trying to achieve, you generate the CONVICTION to plan and write your best work, and then you COMMUNICATE in a way that gets you the inﬂuence and results you desire and deserve. All of my content is designed to help you master those three essential elements. Want to know the secret to a successful book? Join this webinar where I’ll reveal how my bestselling authors and clients save time and heartache during the writing process. This action-by-action online program makes the writing process pain-free and possible. Follow a proven formula to plan and structure your book and get yourself ready and raring to write. Work with me one-on-one to pitch, plan and publish your best book, either self published or via a major publisher like John Wiley. My books consistently make the Top 100 business books in Australia every year. 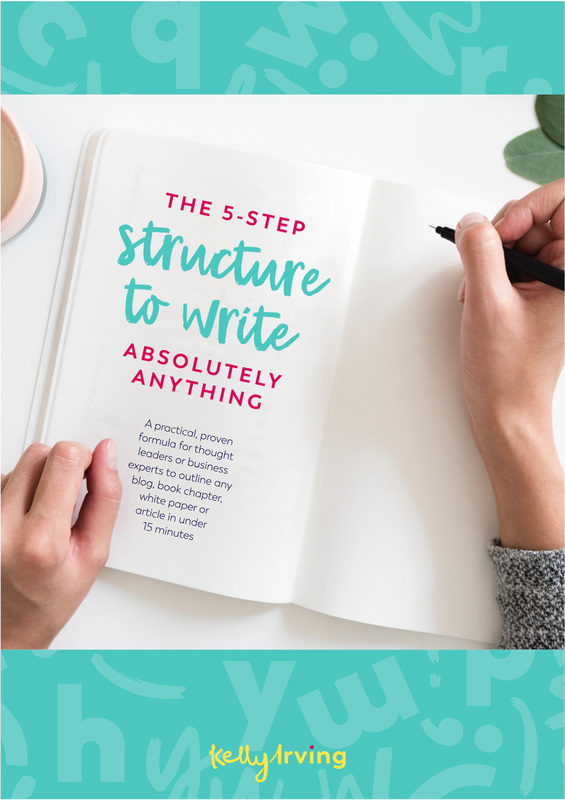 Download what’s in your head with ease and conﬁdence, write with clarity and conviction, and make the writing process as fun, quick and pain-free as possible. "Writing this book took my business from 6 figures to 7 figures (and still rising) - I absolutely could not have done this without putting the right time, care and attention into a strategic plan for it." "Kelly's process will help you think better, get your message right and deliver that with impact. It's something that can't be rushed or written in just days."